How well do you know the faces at SOJ? 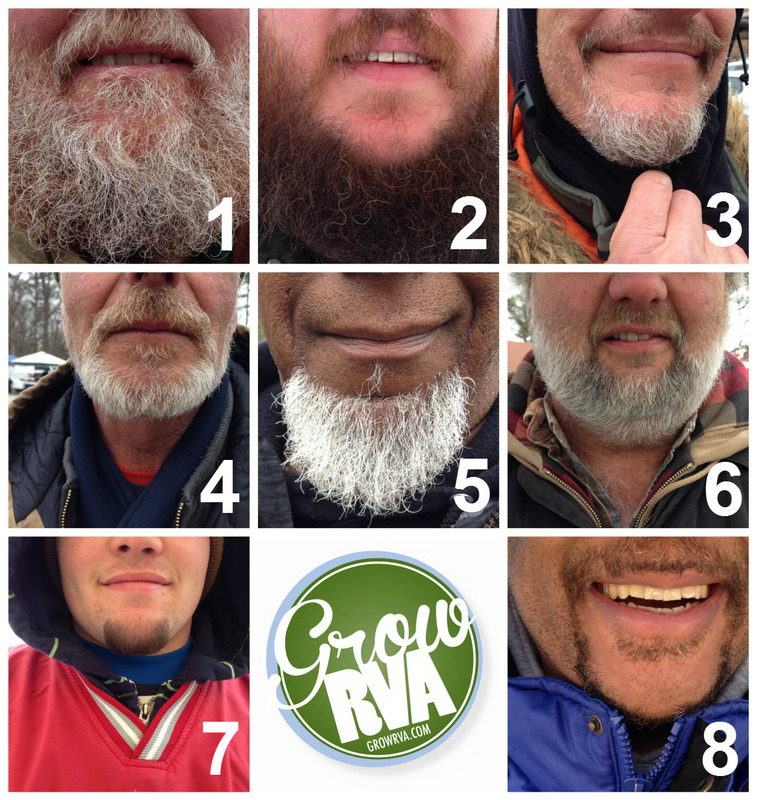 Match these beautifully bearded faces to South of the James Market vendors, staff and musicians for a chance to win a $50 Gift certificate to GrowRVA’s markets. Details below. Send us an email or message us through Facebook with your entry. For example “1) Old Church Creamery, 2) Mrs Yoder’s Kitchen… etc.” The person who gets the most correct answers wins. In the case of multiple correct entries, the winner will be randomly selected. OOps! Thanks for catching the dates Bonny. I’ve updated them. And no, unfortunately vendors are not eligible to vote. I know you’d rock this contest if you could vote!!! There are only 2 beards I don’t recognize. Can’t wait to see who wins and how many they get right. Funny! !